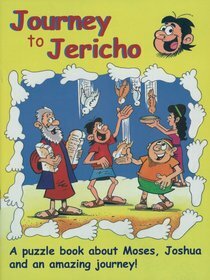 - Publisher The puzzle books each take an Old Testament character and highlight scenes from their lives. After a brief sketch of the scene, there are puzzles to help children to remember the story. The puzzles are varied with wordsearches, crosswords, colouring, drawing and dot-to-dot. Other titles in this series include; The Queen's Feast, The Brave Ruler, The Wise King, God's Builder, The Great Celebration & The Beautiful Bride. The puzzle books each take an Old Testament character and highlight scenes from their lives. After a brief sketch of the scene, there are puzzles to help children to remember the story. The puzzles are varied with wordsearches, crosswords, colouring, drawing and dot-to-dot. Other titles in this series include; The Queen's Feast, The Brave Ruler, The Wise King, God's Builder, The Great Celebration & The Beautiful Bride.